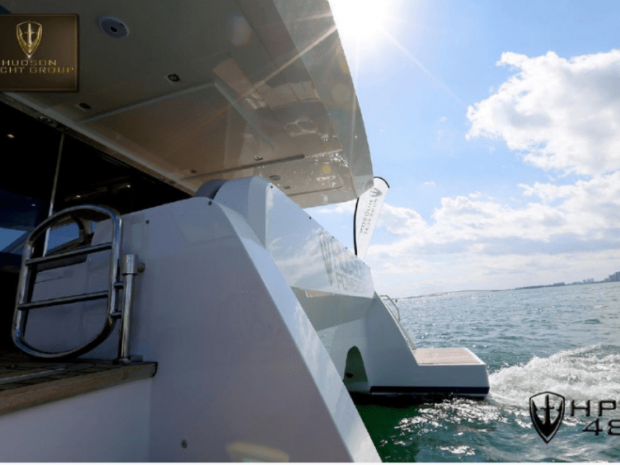 The Hudson 48 is powerful and safe and simple to helm. 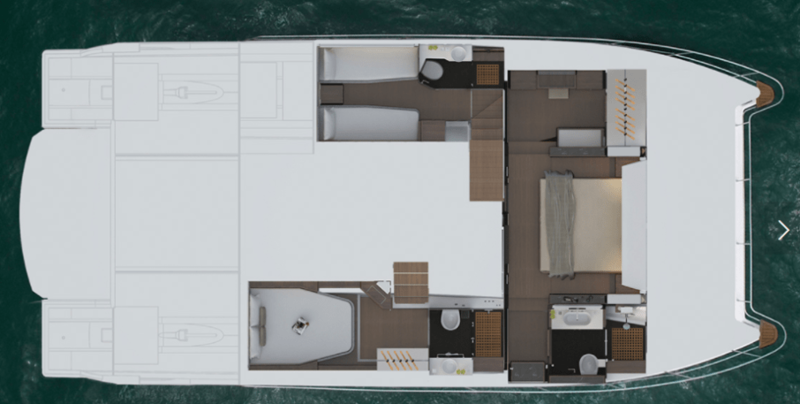 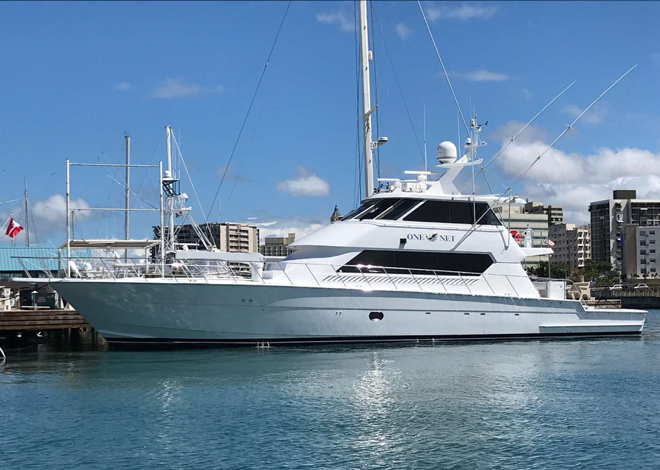 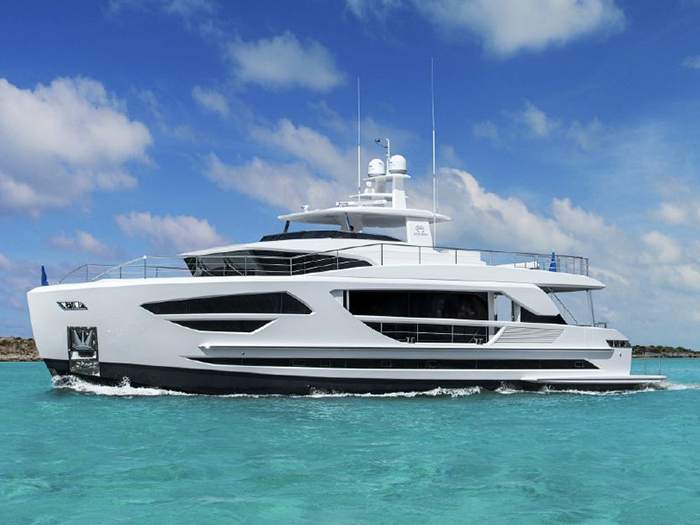 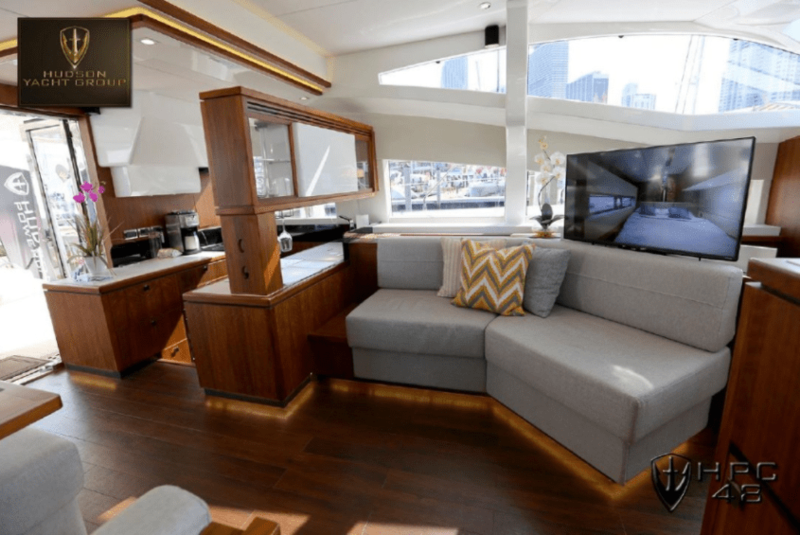 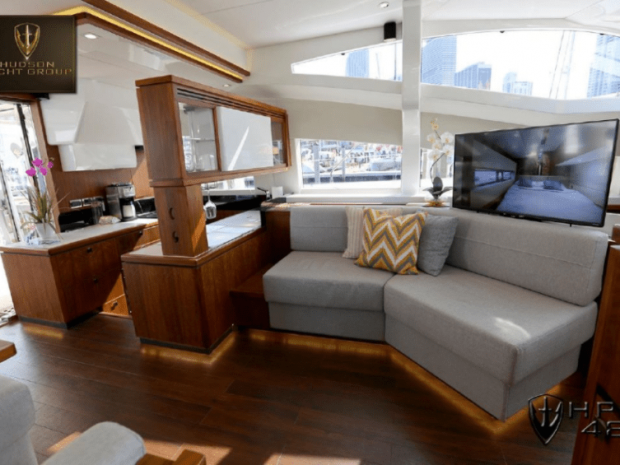 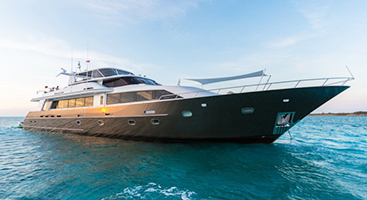 It offers total comfort and stability both at sea and in the harbor, with a plethora of natural light below deck to highlight impeccably designed interiors. 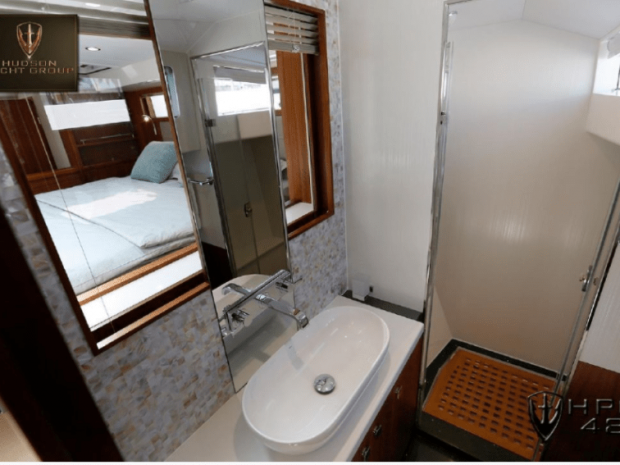 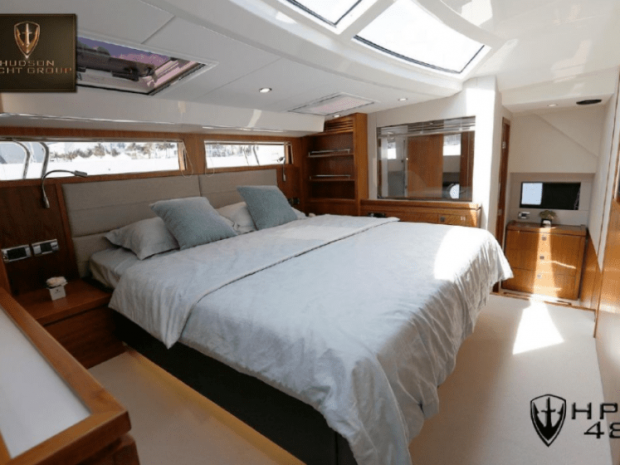 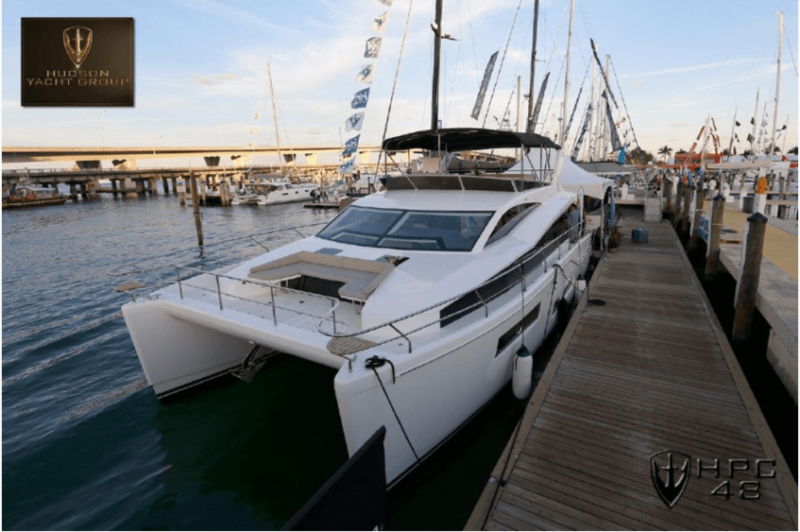 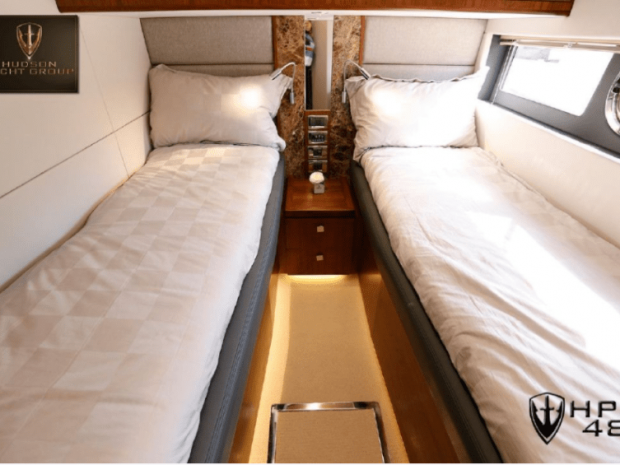 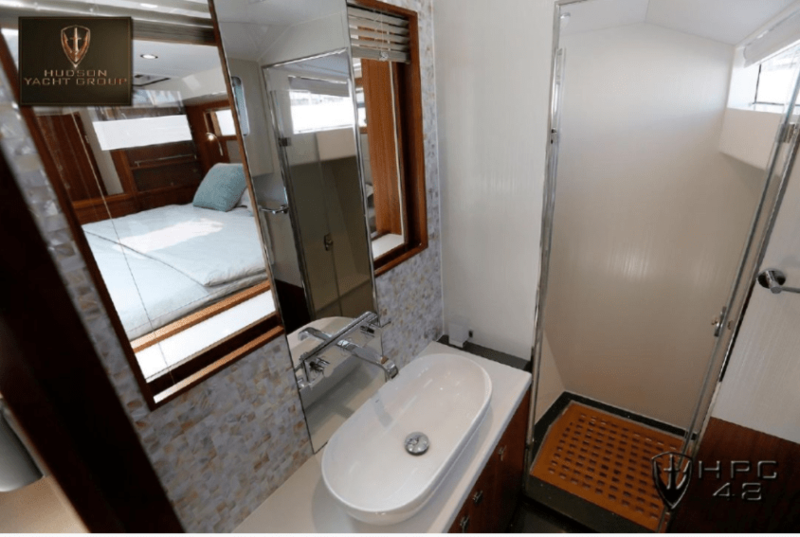 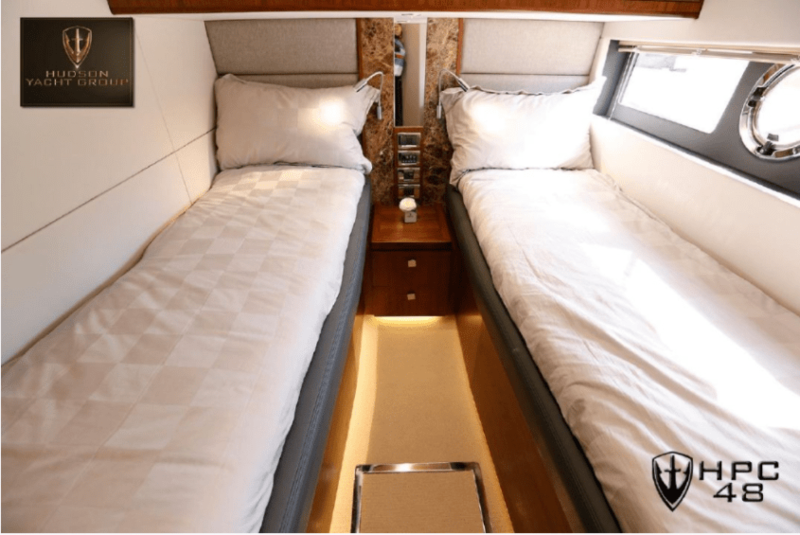 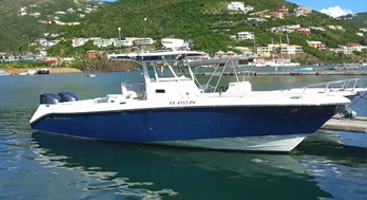 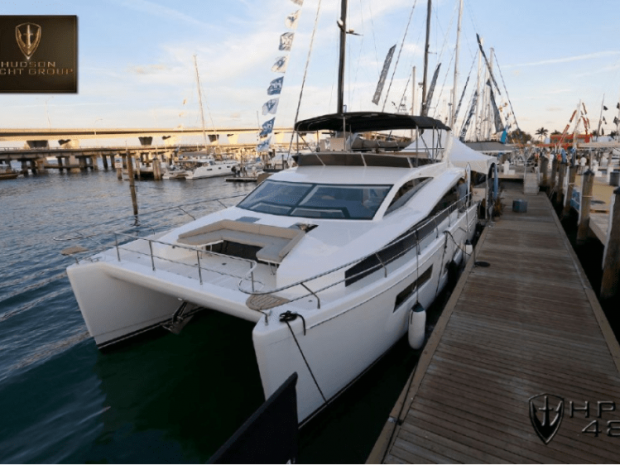 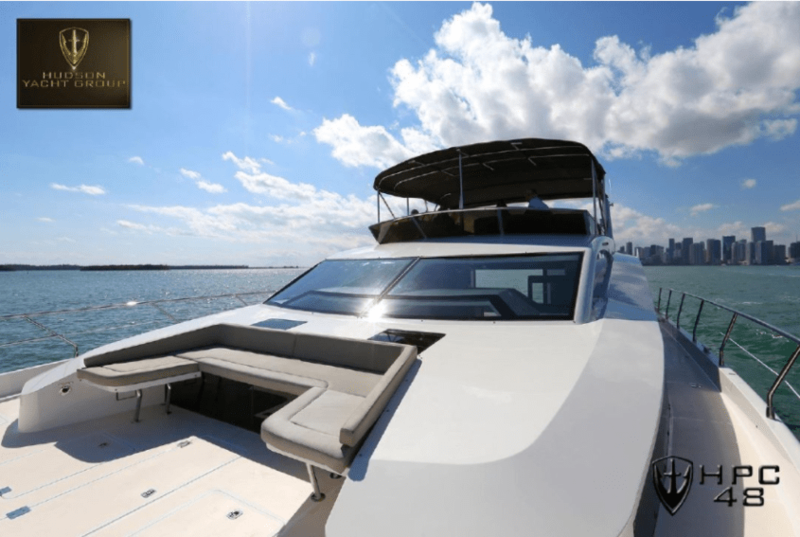 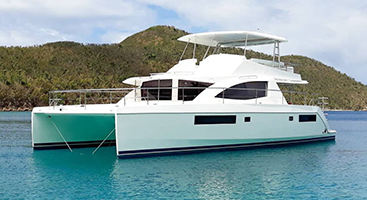 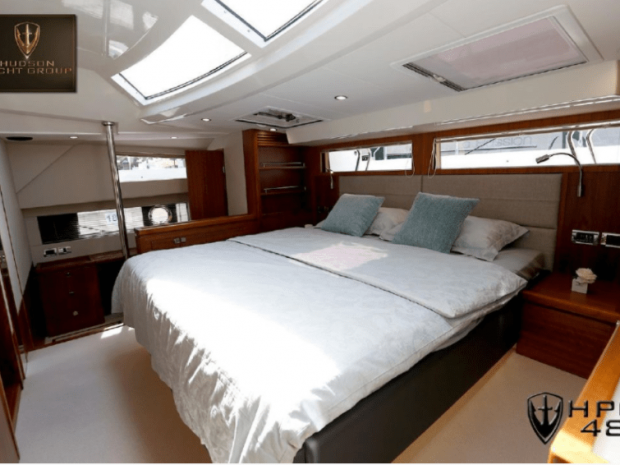 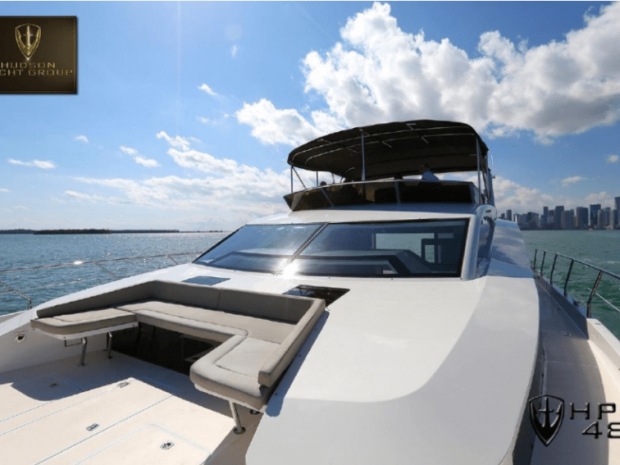 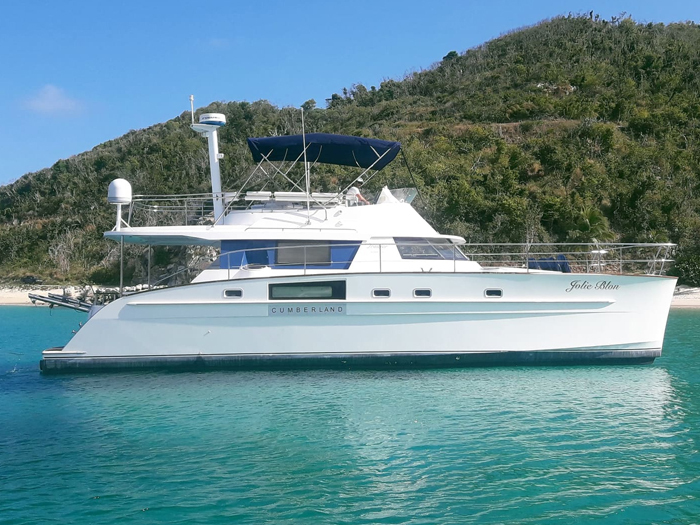 Boasting large wraparound saloon windows, modern spacious interiors and three (or four) beautifully furnished cabins, this catamaran is your luxury apartment on the sea and your venue for entertaining guests. 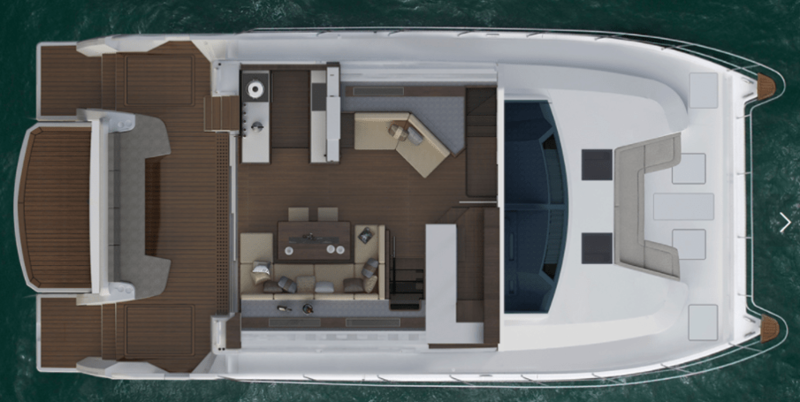 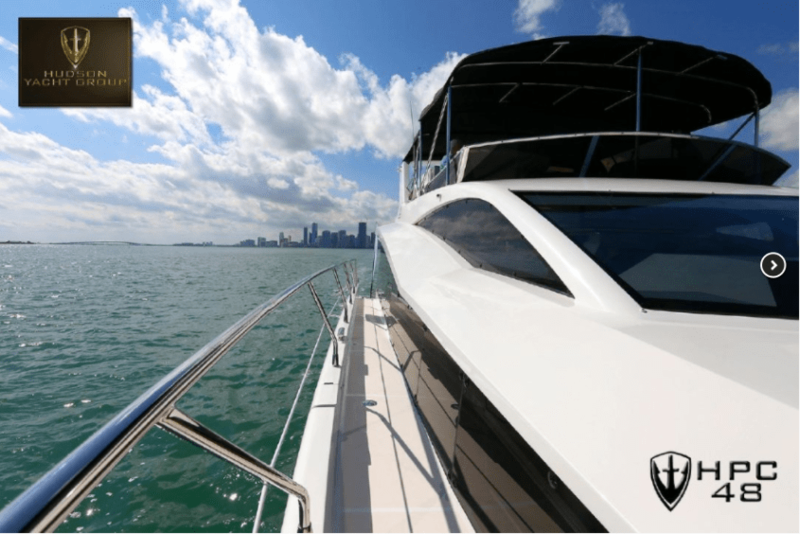 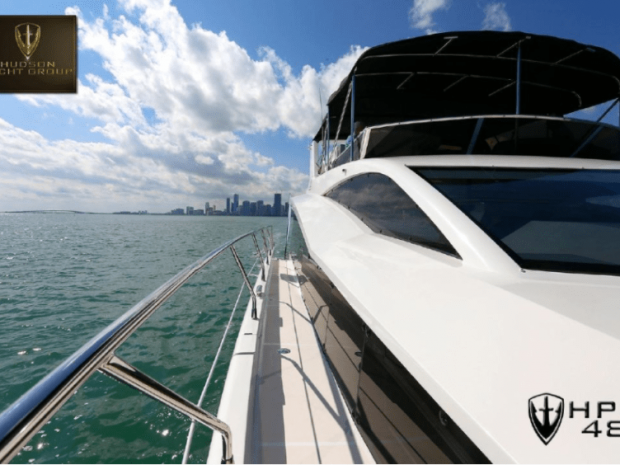 This is your perfect floating holiday home and offers a level of luxury and sophistication not previously seen in a power catamaran platform. 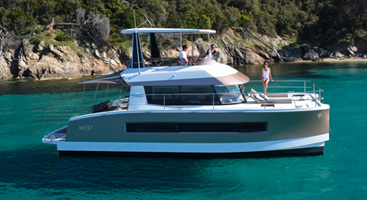 The flybridge helm has ample room for your entire group, and has been fitted with a barbecue grill, large sofa with table, a speaker system and a king size sun lounger – all perfect for relaxing with company whilst taking in the 360 degree ocean views. 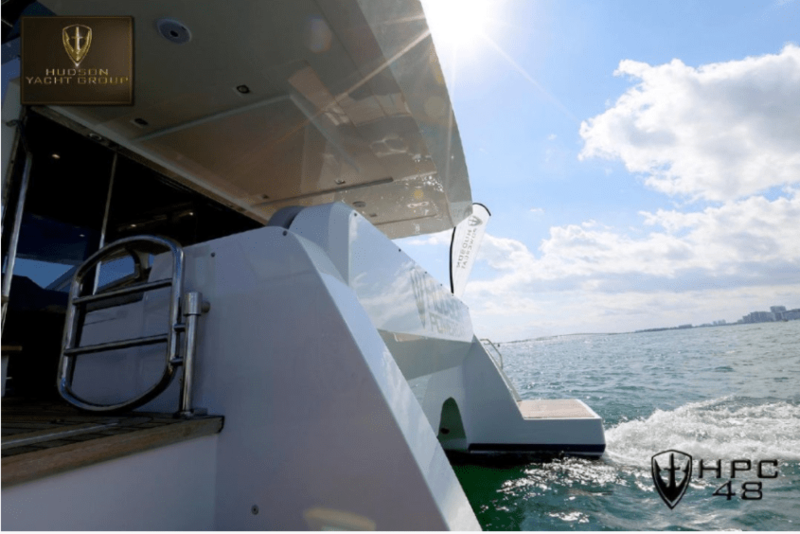 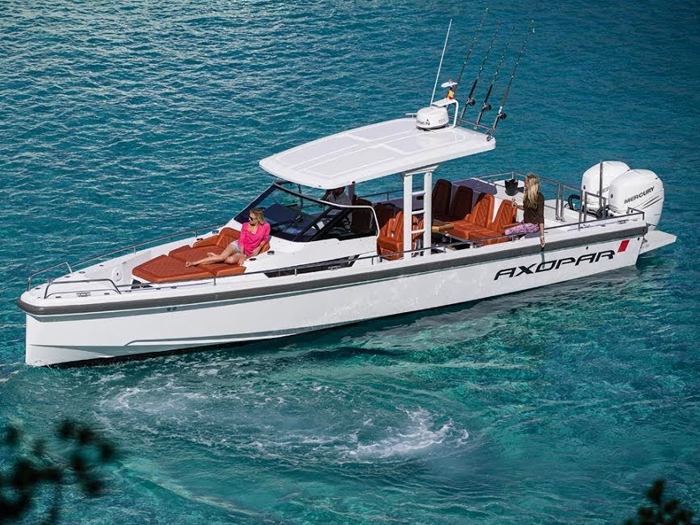 The extra sun lounger in the forward cockpit offers yet another area from which to enjoy the ocean experience as you glide across the water. 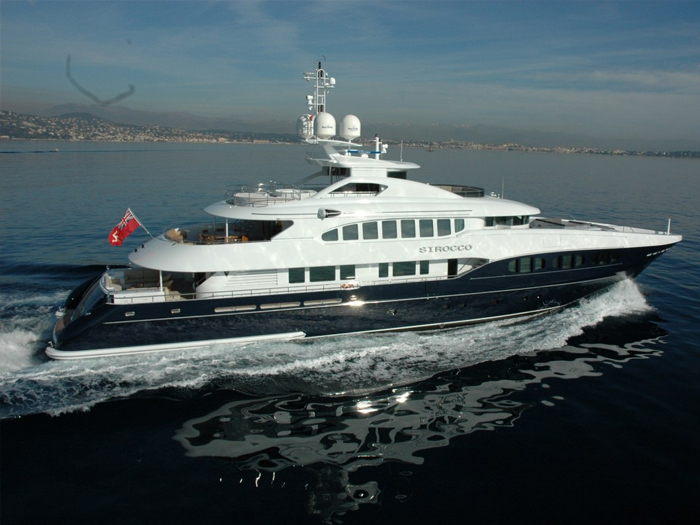 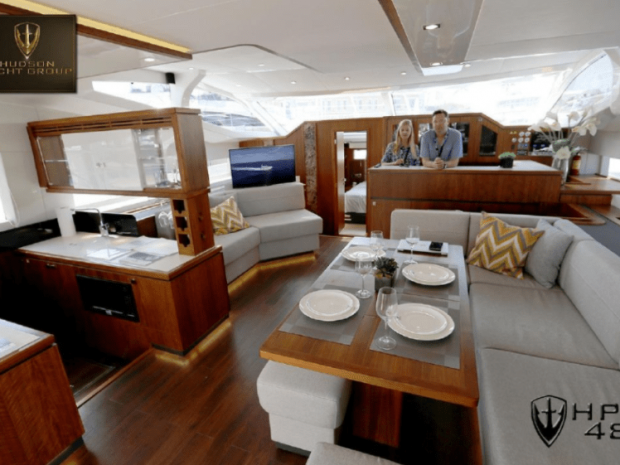 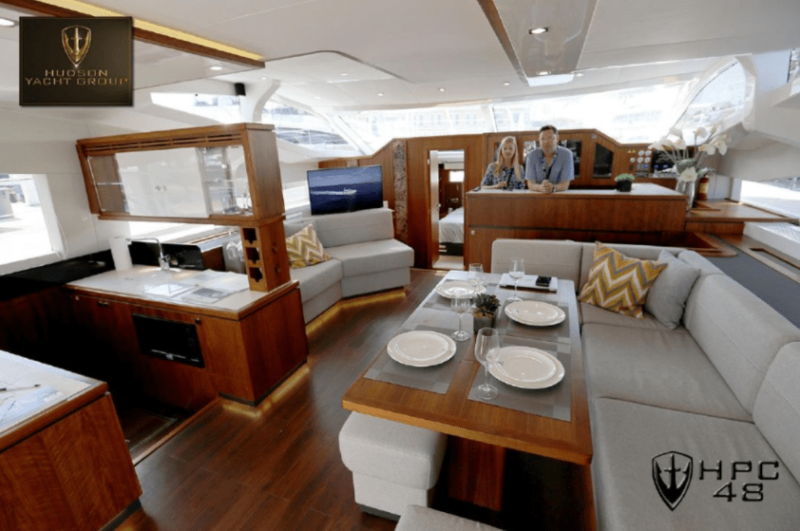 The saloon beneath is fitted with generous modern galley space, a large dining table, a reading sofa and a drinks bar. 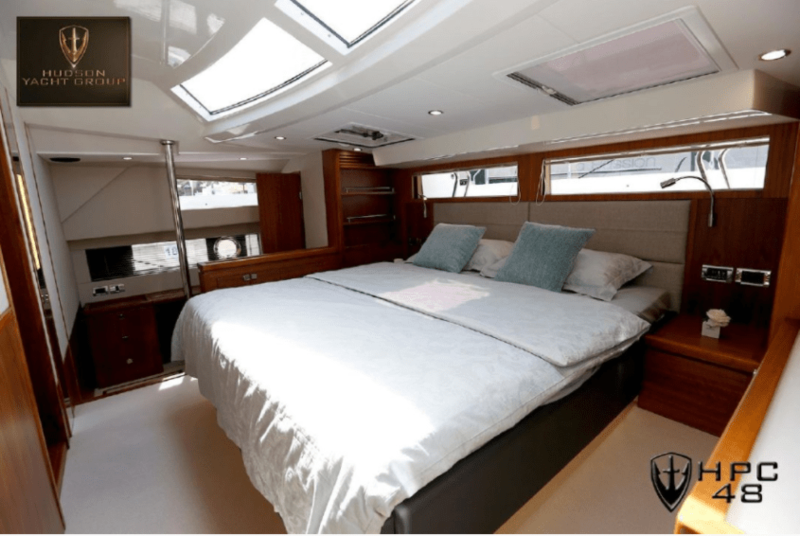 Perfect indoor outdoor flow is created with the large windows and triple panel patio doors which maximize the views from within the saloon. 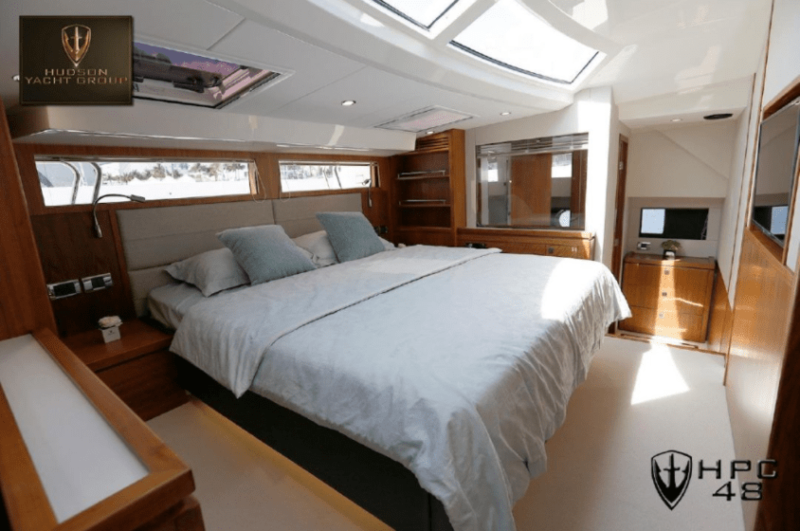 The abundance of natural light here mean that the interiors always feel roomy and bright.